10 Facts You Must Know About the Armenian Genocide. The Armenian Genocide occurred during World War I, from 1915 to 1922 in the Ottoman Empire. Although the present Turkish government denies that the massacres constituted a “genocide”, scholars and historians maintain that the systematic slaughtering of 1.5 million Armenians by the Young Turks and their militant organization can irrevocably be considered one of the world’s first holocausts.Much like the Holocaust in Nazi Germany during World War II, the origins of this genocide stemmed from religious bias and the desire to “cleanse” and “exterminate” a specific population.As these subjects are of a very sensitive nature, it is prudent to note that the intentions of the following list is in no way meant to insult religious views or affiliation. That being said, the anecdote of bringing awareness to past events in order to avoid “history repeating itself” could not be more prominent in the dissemination of information regarding the late Ottoman’s Empire atrocities inflicted on an entire people. The utilization of religious bias as a vehicle for hate and violence was evident in the Armenian Genocide and the massacres preceding the genocide. Today, Armenians and family members of Armenians who were subject to the atrocities continue to suffer due to the history of their ancestors and lack of acknowledgement from the Turkish government. Armenian citizens, advocates and those whose ancestors were subject to the genocide note that denial of genocide (the eighth stage of genocide) perpetuates the pain and injustice felt by the Armenian culture as a whole. Turkey’s Government Denies the truth of the Armenian Genocide. Today, the Turkish government still denies that the massacre of approximately 1.5 million Armenians constituted it as a “genocide”.This is in spite of the fact that a litany of scholarly articles and proclamations from revered historians have posed evidence that the events leading up to the mass killings—along with the manner in which Armenians were assassinated—irrevocably makes this point in history one of the first holocausts. The “war” being referenced is World War I, and the events preceding the Armenian genocide—which were paramount in the holocaust’s fruition—predate WWI by over 20 years. The irony in Perjnek’s outrage over the charges made against him are evident; Perjnek is an advocate of Turkey’s current laws which condemn citizens from speaking about the Armenian Genocide. It is illegal in Turkey to discuss the Armenian Genocide. In Turkey, discussion of the Armenian genocide is considered an offense punishable by imprisonment. In 2010, Turkish prime minister Recep Tayyip Erdogan actually threatened 100,000 Armenians with deportation in response to an Armenian Genocide Remembrance Bill presented to the House of Commons. “The statement once again proves that there is an Armenian genocide threat in present Turkey, thus world community should pressurize Ankara to recognise [the] genocide,” was Karapetyan’s response to Erdogan’s subtle threats. Uncle Sam says I don’t want to touch this thing with a ten foot pole. Although American government and media have labeled the slaughtering of 1.5 million Armenians as “atrocities” or “massacres,” the word “genocide” has seldom made its way into U.S. vernacular when describing the events that occurred from 1915 to 1923. It was not until 2004 that the words “Armenian Genocide” appeared in the New York Times. Peter Balakian, a professor of humanities at Colgate University, and Samantha Power, a lecturer at Harvard’s Kennedy School of Government, composed a letter to the Times’ editor which was subsequently published. In the letter, Balakian and Power chastise the Times’ and other media outlets for their failure to label the atrocities that occurred during 1915 as a genocide. The religious origins of the Armenian Genocide date back to the 15th century when Armenia’s rule was absorbed by the Ottoman Empire.Leaders of the Ottoman Empire were primarily Muslim. Christian Armenians were considered minorities by the Ottoman Empire and though they were “allowed to maintain some autonomy,” they were largely treated as second-class citizens; i.e., Armenians were denied the right to vote, paid higher taxes than Muslims, and were denied a plethora of other legal and economic rights. Resentment and bias was prevalent in the leaders of The Ottoman Empire, as unfair treatment toward the Armenians elevated into violence toward the Christian minorities. In the early 1900’s, The Ottoman Empire was dismantled and taken over by the Young Turks. The Young Turks initially framed themselves as leaders who would guide the country and its citizens to a place that was more democratic and constitutionally sound.Armenians were initially overjoyed at this prospect, but later learned that the Young Turks’ revamping would include extermination as a means to “Turkify” the new state. The rule of the Young Turks would be the catalyst in what is now known to be one of the world’s first genocides. Religion’s role in this genocide was prominent, as Christianity was perpetually viewed as a justification for the holocaust carried out by militant followers of the Young Turks. Similarly, the extermination of Jewish citizens was considered a justification to Nazi Germany during World War II. The Young Turk’s Box on an Ear. Understatement of all time. The Ottoman Empire’s ruler was overthrown by a group called the Young Turks. Armenians hoped this new regime would lead to a fair and just society for their people. Unfortunately, the group became expeditors of the Armenian genocide during World War I. In 1908, a group of “reformers”calling themselves “The Young Turks” overthrew Sultan Hamid and gained leadership in Turkey. The aim of the Young Turks initially seemed to be one which would lead the country to a place of equality and justice, and the Armenians hoped for peace amongst their people in light of the changes. However, it quickly became evident that the Young Turks’ goal was to “Turkify” the country and eliminate the Armenians. The Young Turks were the catalyzers of the Armenian Genocide which occurred during WWI and was responsible for the slaughter of nearly two million Armenians. Many wonder why the crimes of the Young Turks are not viewed as prominently as the crimes of the Nazi party during the Holocaust.Scholars and historians note that part of the reason for this could be the lack of accountability that was taken on by the Young Turks for their crimes. After the Ottoman Empire surrendered in 1918, the leaders of the Young Turks fled to Germany, where they were promised to be exempt from any type of persecution for their atrocities. From this point forward, the Turkish government—alongside several allies of Turkey—has denied that a genocide ever took place. In 1922, the Armenian Genocide came to an end, leaving only 388,000 Armenians remaining in the Ottoman Empire. 4. Why Were the Events Considered a Genocide? The Armenian Genocide. When was the term Genocide coined? The term “genocide” refers to the systematic mass killing of a specific group of people. The name “genocide” was not coined until 1944 when Polish-Jewish lawyer, Raphael Lemkin, used the term during trials to describe the crimes committed by the top Nazi leaders. Lemon created the word by combining the Greek word for “group” or “tribe” (geno-) and the Latin word for “killing” (cide). In a 1949 CBS interview, Lemkin stated that his inspiration for the the term came from the fact that systematic killings of specific groups of people had “happened so many times in the past,” as with the Armenians. There are several pieces of evidence which are indicative of the fact the the Armenian Genocide was an inspiration to Adolf Hitler before he led the Nazi party in the attempted extermination of an entire people. This point has been the subject of many heated debates, particularly in reference to an alleged quote Hitler made regarding the Armenians. According to a 2013 Midwestern Quarterly article by Hannibal Travis, it is indeed possible that—as many have argued—the quote from Hitler did not actually happen or was embellished in some way by historians. Irregardless, Travis notes that the several parallels between the Armenian Genocide and the Holocaust are transparent. Both utilized the concept of ethnic “cleaning” or “cleansing”.According to Travis, “While the Young Turks implemented a ‘clean sweep of internal enemies—the indigenous Christians,’ according to the then-German ambassador in Constantinople…Hitler himself used ‘cleaning’ or ‘cleansing’ as a euphemism for extermination”. Travis goes on to note that even if Hitler’s infamous quote about the Armenians never actually transpired, the inspiration he and the Nazi party gained from the various facets of the Armenian Genocide are undeniable. 2. What Happened During the Armenian Genocide? 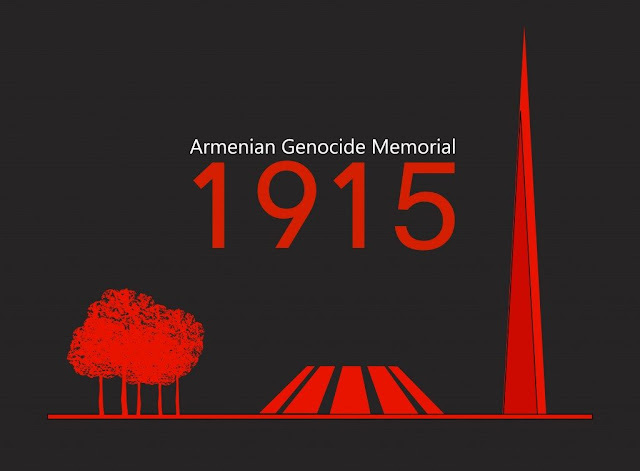 ANC Australia’s Executive Director, Vache Kahramanian, noted that the information being released will include a litany of articles detailing the “horrors” of the Armenian Genocide along with reports on Australia’s humanitarian efforts during that time. According to Today’s Zaman, Turkey’s President Recep Tayyip Erdogan “…sent invitations to the leaders of 102 states whose soldiers fought in World War I, inviting them to attend an event commemorating the anniversary that is scheduled to take place on April 23-24,” the same time that the Armenians will gather to commemorate the 100th anniversary of the genocide experienced from the Ottoman Empire. The invitation was met with offense by Armenian citizens who viewed it as “ill-natured,” “a joke,” and a “political maneuver” on Erdogan’s part.